Beautiful, peaceful, gated campground. Just passed the welcome sign on left, 300 meters. Full serviced 30-50 amp. Cable TV, private treed sites accommodating any size unit. 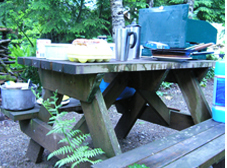 Some camp sites are in wilderness, light forest setting. Clean family oriented. 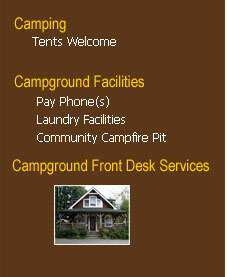 Community Fire when Permitted, portable propane camp fire available for rent. 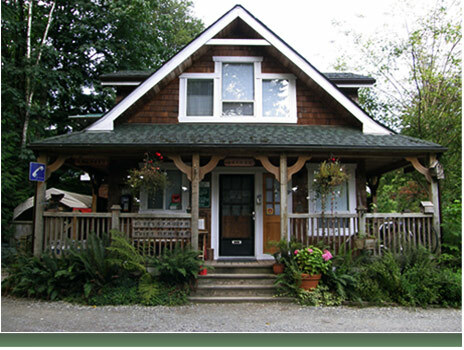 Located East of Vancouver only 90 minutes away, and only 50 Minutes away from USA border (Sumas). 1 Hr East of Langley. Modern facilities with exceptionally clean washrooms, free hot showers. 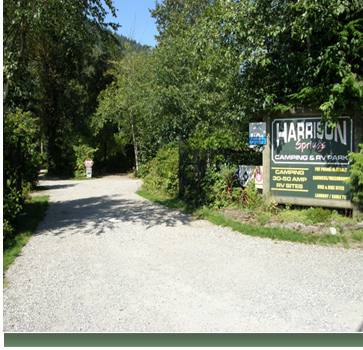 Within walking distance to hot springs pool, Harrison Lake beach. Reservations recommended. Wireless internet available.